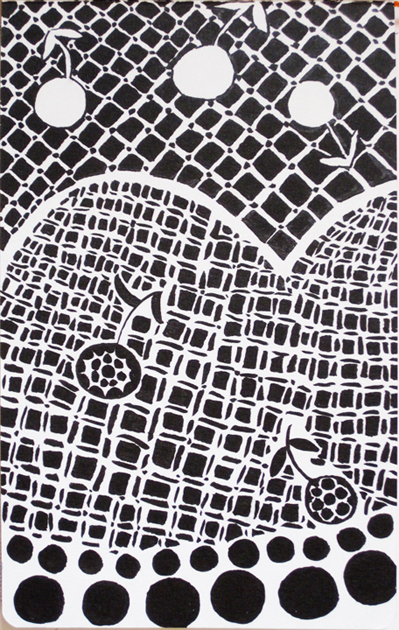 I used that pattern as inspiration and made this pen and ink drawing in my sketchbook. 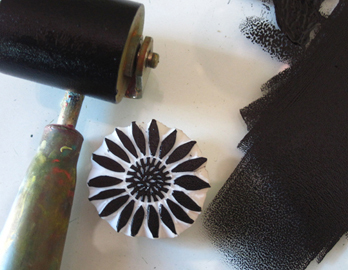 I decided to go further with the pattern and created a flower stamp. 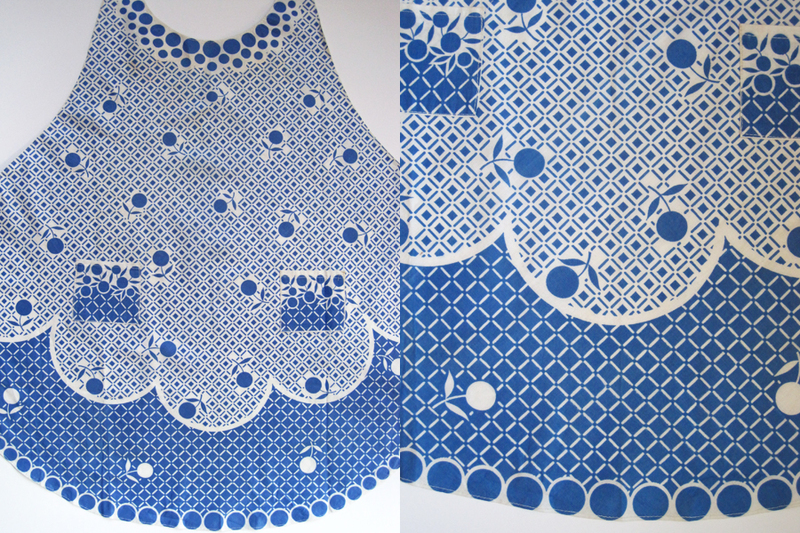 I stamped the paper, embossed the stamp and then added a pattern in pen and ink similar to the apron. Wow! 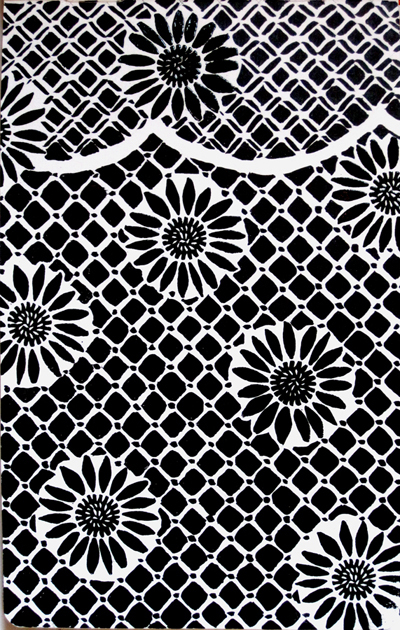 I love this black and white ink pattern. 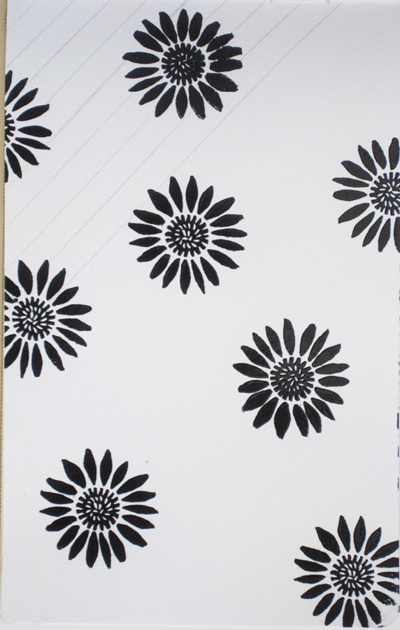 Very bold and graphic, and I could see this on bedding, lamps, stationery… Awesome!